The only air duct service company you need! Important answers on air duct cleaning. The FAQ page that deals with all your inquiries. Do you have dryer problems? Learn how to deal with them and how to avoid fire. Find out how to keep the indoor atmosphere perfectly clean. How can we be assured that we are getting clean air? Your HVAC system when installed properly gives you the comfort and convenience of having clean air always. 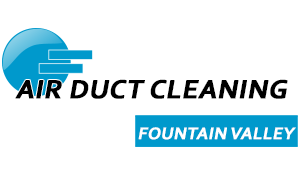 Experts at Air Duct Cleaning Fountain Valley recommend that you do a regular inspection of the system to make sure that there are no leaks, everything is clean and no parts need replacements. Regular cleaning of filter, to eliminate dust and other substances harmful to the health, will assure you of clean air always. What do I do with a dryer that seems to be getting defective? The things we use get worn out due to wear and tear. If your dryer is getting less efficient you must have a maintenance check up. First of all, check if the filters and ducts are clear of lint and other substances that may be clogging your dryer. Check also for leaks and parts that need replacement. Will cleaner air ducts contribute to my home’s cleanliness? Yes. Air ducts are the passageways that indoor air uses to circulate around the building. According to our experts, if there are dirt particles in the air ducts, they would most likely travel with the air passing through the ducts and into the building’s atmosphere. What’s the required repair for a detached dryer duct section? The specifically marked joints should be taped tightly. It is important to use a tape which is especially designed for the purpose. Using screws is not a good idea at all, because their bottom ends get in the way of the exhaust air coming from the dryer and trap lint. As a result, more frequent dryer duct cleaning will be required. Which is the best way to straighten the bent coils of a condenser unit? A technique called combing will work excellently when done correctly. It is designed to straighten a large section of coils at once. At the same time, it is gentle enough not to cause damage to the paint which the coils are typically coated with. With safe condenser unit cleaning on a regular basis, you will protect the coils from bending in the future.